Long work days can take its toll on you and your dog. Regular exercise is an important element to your dog’s health. 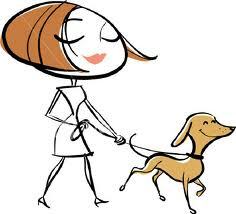 Keep’em Kozy Petsitting understands this and offers mid-day dog walking services to keep your dog healthy and their mind busy because, “A busy mind is a happy mind”. Minor separation anxiety is a problem for some dogs, allowing for regular exercise can alleviate the anxiety that some dogs feel while you are away at work. It gives them something to look forward to and keeps their mind occupied instead of finding ways to destroy your home. Walks can be scheduled for 5 days per week (M-F) or on alternating days during the work week. If you are a working weekend warrior, dog walking on Saturday and Sunday are available also. Prepayment of monthly service is required. If for some reason a walk is not used a credit will be given the following month (as long as a 48 hour cancellation notice is given). Sue is simply the Best!!! I am a very big animal lover & I only want the best for my dogs…I found that in Sue! Sue has performed Reiki on two of my dogs for different issue’s. My pup for anxiety & my other dog for arthritis. It was amazing to see the difference in them when she was done! They love their Reiki sessions with Sue! She can babysit my feathered kidz any day of the week, month, year! They ♥ their Auntie Sue! Awesome with dogs! very knowledgeable, and patient with animals.. HIGHLY RECOMMENDED! First and foremost, I am an animal lover. Searching for a fulfilling career, I found myself volunteering for a local rescue group, I Wanna Go Home Rescue. Thanks to the encouragement of this group and my family and friends, I made the decision to start Keep'em Kozy Petsitting! I understand that sometimes we become overwhelmed with work and responsibilities and that we need time to get away. The thought of leaving our furry loved ones behind sometimes will keep us from taking much needed time off, not to mention that it can be very stressful for our pets. My goal is to offer people an alternative to boarding their pets.